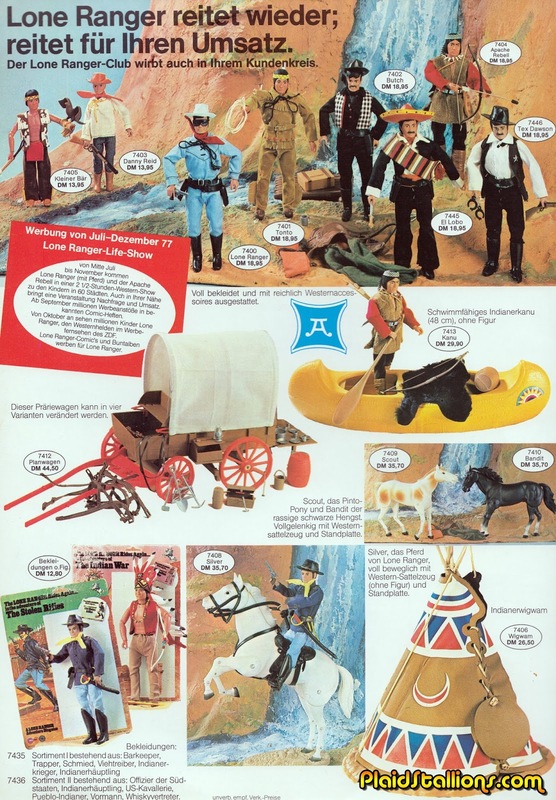 As much as the gorgeous Gabriel Lone Ranger action figure line was popular here, it was a massive success in Europe, where cowboy lore held a special fascination. Never had a single figure as a kid and still don't own any but man, do i love looking at these. I loved these toys. I had the Lone Ranger and my brother had Tonto. We each had an accessory set, but that was it. We never got more even though we wanted them. The quality of these was among the best in the industry and the attention to detail of the figures and accessories surpassed even the GI Joe Adventure Team accessories. Fond memories here.